If you happen to be a tech-savvy exclusively interested in specs over all other important aspects of a smartphone, then you might want to check out the top performing smartphones for Q3, 2014. With so many powerful smartphones launched this year, it’s interesting to see which one performs better and which one disappoints. First of all, the top 10 performing smartphones takes into consideration all devices launched this year, including those launched by Chinese OEMs like Xiaomi, Oppo and Meizu. Speaking of which, those disregarding the Chinese handset makers would make a terrible mistake and here is why. 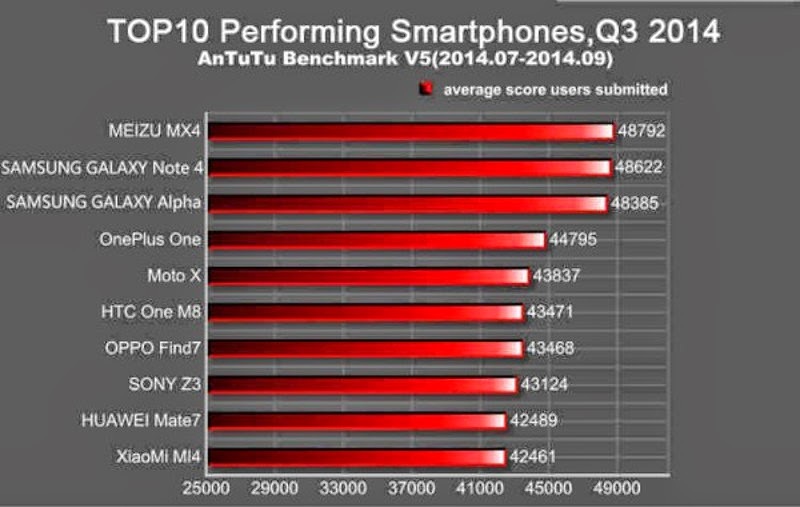 According to AnTuTu benchmark, the most powerful smartphone for Q3 is Meizu’s MX4. That may sound surprising for those who don’t know too much about Meizu, but suffice it to say that the MX4 is one of the most popular smartphones in China, world’s largest mobile market. The MX4 scored 48,792 points in AnTuTu and is closely followed by Samsung Galaxy Note 4 with 48,622 points. More surprisingly is that Samsung Galaxy Alpha is third with 48,385 far ahead of Motorola Moto X, HTC One M8 and Sony Xperia Z3, supposedly better equipped for benchmarks. As AndroidCommunity points out, AnTuTu developers state that the top 10 performing smartphones is based on the performance of the handsets from users in 160 countries. Only benchmarks made between July and September have been taken into consideration for the top 10. 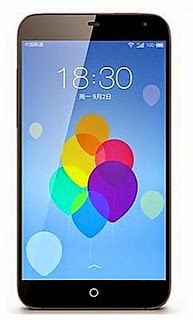 Besides the devices mentioned earlier, the top 10 performing smartphones for Q3 also contains the OnePlus One (fourth place), Oppo Find7 (seventh place), Huawei Mate7 (ninth place) and Xiaomi Mi4 (tenth place). 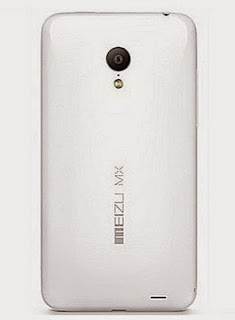 Meizu’s achievement is not only important for the Chinese OEM, as the smartphone is powered by a MediaTek chipset, which is considered weaker than Qualcomm’s chipsets, performance-wise. Well, it looks like the 2.2GHz octa-core MediaTek MT6595 processor managed to beat Galaxy Note 4’s 2.7GHz quad-core Qualcomm Snapdragon 805 CPU by a small margin. 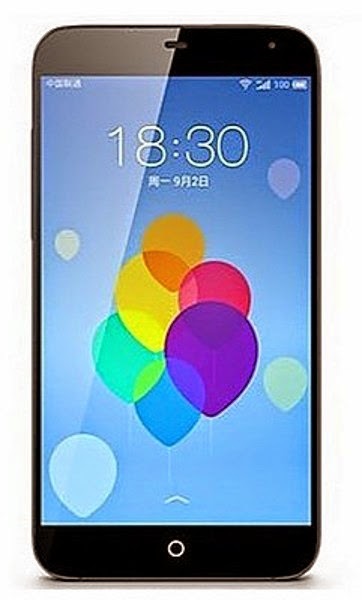 It would have been interesting to see how the Exynos-based Galaxy Note 4 would fare against the Meizu MX4. The results highlighted by the top 10 performing smartphones for Q3 also proves that Chinese OEMs have recently become very competitive on the market and they are capable of eating large amounts of market share from well-established handset makers like Samsung, HTC, LG and Motorola. The only thing that prevents these Chinese OEMs from conquering the entire world could be the fact that they only have been successfully in the last few years and their budget did not allow for growth in other countries, but that will most certainly change in the not so distant future.